If plans go ahead, Charlie Wray will lose almost all of his 63-hectare (156-acre) farm. Herts dairy farmer Charlie Wray said he will fight against the plans. A county council dairy farmer is facing being forced out of one of the few remaining dairy farms in Hertfordshire to make way for up to 1,000 new homes. Kings Langley farmer Charlie Wray said he would fight the proposals which would see almost his entire 63-hectare (156-acre) council-tenanted farm immersed with houses and retail areas. He said was ‘gobsmacked’ by the turnout at a recent local Parish Council meeting where more than 800 people turned up to protest the plans on his farm. “There have been mumblings about building on the farm now for quite some time. I have been here 37 years,” Mr Wray said. “A few months ago I was told they were going to build 300 homes, but now it has gone up to 1,000 homes on 44-hectares (110-acres) which is most of my land. 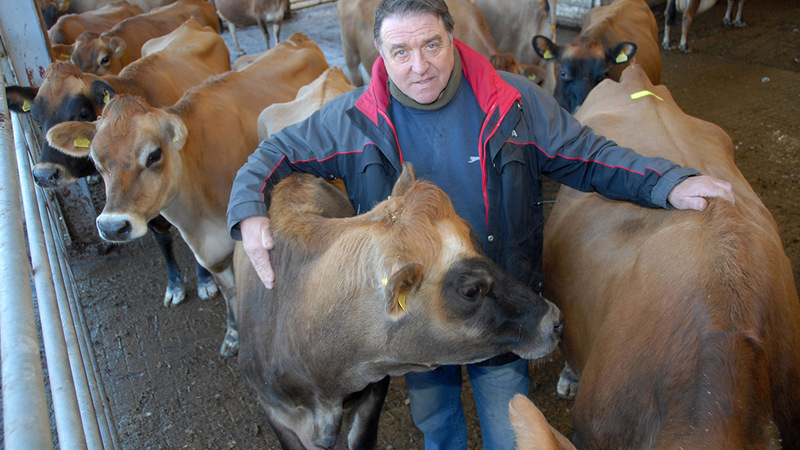 The farm business now sells about 200-litres of raw milk a day from its 80 Jersey cows, one of only two such farms in the county. “It is a mess,” he added. “The worst part of the whole thing is not knowing what is going to happen. Whilst Mr Wray said he could not fault the council as a landlord, the proposals put forward by Dacorum Borough Council left him unable to sleep. He argued the current local level of employment would not keep up with the number of new homes and questioned why developers were instead avoiding building on brownfield land. It came as the Budget announced £15.3 billion of new cash for housebuilding over the next five years, including £1.2bn for the Government to buy land to build more homes and £2.7bn for infrastructure to support housing. “The south-east of England is sinking under the weight of people,” Mr Wray said. “I am the wrong age to change. When you have milked cows for 40-odd years, I could not just stop. James Doe, assistant director of planning, development, regeneration at Dacorum Borough Council added: “In terms of Kings Langley, the growth proposals range from an option that would require no development in fields surrounding the village, through to an option which would require the use of land that is currently undeveloped. Mr Doe said all feedback must be received by midnight on December 13. For more information click here. Next Article Farmers Guardian and JCB charity Loadall Agri PRO live auction launches TODAY!